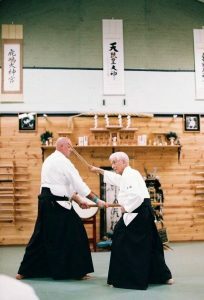 Recently I have had the opportunity to observe a lot of demonstrations of Aikido techniques sent to me on Facebook and YouTube. 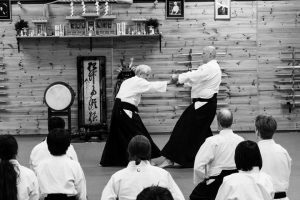 I thought it pertinent to make a few observations based on the rules that the FOUNDER put forward to those that wish to study Aikido. 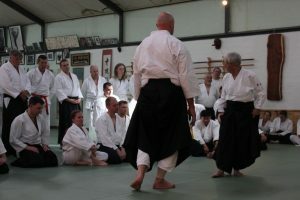 1) A single moment or interaction in Aikido can decide life and death. When practicing always follow the example set by your instructor and do not use training time for needless testing of strength. 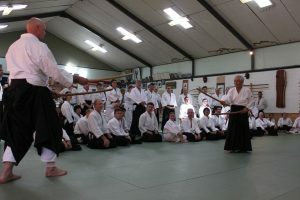 Do people that practice modern Aikido truly believe that what they are doing or practicing has this level of lethality? Seriously? The founder must have believed it as he wrote it as the very first rule. Did this mean that, first and foremost he saw Aikido as a leathal martial art and not some form of health study? These rules were on the wall in the founder’s personal dojo in Iwama, did they only apply to that dojo? I don’t think so. They were meant to apply to anywhere the art of aikido was taught. Perhaps the issues is found in the second part of this rule, to follow the example set by the instructor, a rule that has ALWAYS been emphasised in dojo I have been training in. We follow Along without question, with an expectation that the teachers level of skill and understanding is commensurate with their time in training. The problem with this assumption is that time is not a good measure of ability and wisdom. Most people study without attempting to deepen their wisdom of the origin and purpose of their art. 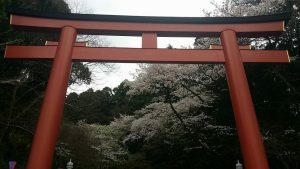 I believe it is important to see the founder’s Aikido from his perspective and search out the truth of what he did and said, rather than just follow along the path that most comfortably fits within our own ideology and beliefs. In that way we honour the art, and the sacrifice that the founder made for you to claim to study the art he created..
And last but not least training is not about testing one’s strength, but rather one’s resolve. Remember, perseverance is power. 2) Aikido is an art where one person learns to face many opponents simultaneously. It therefore requires that you train earnestly to perfect each movement to defend yourself from an attack in all directions. This is a big one. Humans by their very nature are attracted to beauty. Aikido has become about the sale of perceived beauty at the cost of integrity. Large flamboyant circular movements, and spectacular cooperative ukemi are not Aikido. In this way of practice, the second rule of the art is totally disregarded. If nage ends up in a overly large stance to balance the weight of there Uke flying around the periphery of their movement, they have created a vulnerability to attack from the rear. One must, at any time, be able to turn, balanced and centred in any direction to be able to deal with attackers from those directions. Most large movements leave us off balance, our weight totally on one foot or another, or even worse, using Uke to balance ourselves by counterbalancing the interaction. This looks spectacular, it sells “tickets” but degrades the purpose of study, and shows as the hollow level of understanding talked about in the first point. It reminds me of the Jedi mind trick. It’s good for those whose purpose in aikido is to continue to be ego driven show offs, but to those who have a strong mind and understanding of Budo principles, it just looks like the illusion it really is. 3) Practice with a feeling of joy and exhilaration. Aikido practice should make the spirit feel invigorated, the body rejuvenated and the mind challenged. Always remember that your partner is there to learn just as you are, and sacrifice their time and their body to the cause. Treat people how you would like to be treated. 4) What you learn from your instructor constitute only a small fraction of your overall learning. Your understanding of the deeper principles will depend almost entirely on individual earnest practice. In this age of entitlement, this rule should be strictly followed. Just because you turn up to class and pay money doesn’t give you the right to grade. Learning is on the student, teaching is on the instructor. How you are taught is not determined by you, and in the dojo you have no right to decide how you are taught or when or why. A GREAT instructor will show you what YOU need to learn, not what you think you need to learn. A GREAT instructor can show you where to look, but not hold your hand while you take a look. A GREAT instructor will test you time and time again, ask questions you didn’t even know you needed answers to. A GREAT instructor will inspire you through their example. And a GREAT instructor will not invest time and effort into those that will not help themselves. 5) Daily practice begins with light movements gradually increasing in intensity; training must be vigorous without putting one at risk of injury. Even elderly people can practice with pleasure. It is your job to make sure that your body is prepared to train. It is your job to get ready for what you are about to do on the mat, and you have control over the tempo and nature in which you want to train. Knowing and training to your level of physical ability is your responsibility, and articulating this to your training partner is just good etiquette. Just remember that training within the comfort zone all the time is detrimental to progress, as the body condition strengthens and becomes more limber, so should the level of training increase. 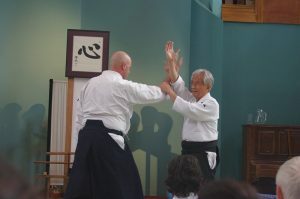 6) The purpose of Aikido is to train both body and mind sincerely. 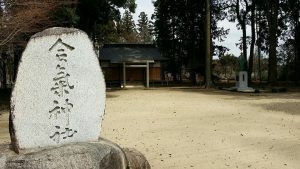 Aikido must not be taught to immoral people or used for evil purposes. No one can control another person. The best anyone can do in any interaction is control the space between them and the threat. The moment the mind has intention to do something to another person(attachment), it is captured and defeat is imminent. In essence this is the same mind as the attackers, it has the same intent, and the end result will be aiuchi, mutual death. The mind/spirit enters completely, unimpeded by technical attachment or desire, either piercing or cutting through the attackers intent. As the essence of true mind spontaneously emerges, it is unable to be controlled by the attacker. It is not possible to physically grab the mind of another. As such, the shape of the body follows the natural shape of the intent. If this occurs it is impossible for the attackers mind to occupy the same space and time. This is to cut with a single beat, avoiding all duality, and is the essence of True Budo. Aiki is a matter of the heart. It is nothing more than the manifestation of the potential of what it means to exist as a human being. Study of the shinkage ryu documents reveals that “moon on the water principle” applies to more than just the movement of the front foot, undetected into the space that the attacker wishes to occupy, but rather to the nature of mind itself. If an attacker has the intent to do something (strike, grab, both) their mind is filled with intent, and this intent manifests in the action the attacker takes. At this moment the attackers mind is trapped at the point of manifestation. It is important to learn to move the body in a way that leaves this manifestation of intent undisturbed. In essence for our movement to remain invisible to the attacker, because let’s face it, reality is if you can feel it, you can resist it. “Feel where they are and be where they are not”- has been my motto on the mat for a very long time now. One must identify this point in both space and time, and move accordingly. On a more physical level, moon shadow foot is intent, using the centreline as an atemi, one enters completely, engaging the attacker rather than avoiding the altercation. This subtle movement is the final physical representation of the mind, Ki, body sequence. This step initiates balanced forward movement by drawing down through the sole of the foot, rather than launching the body forward from the rear foot, unbalancing the structure, spilling the tanden ball and toppling the centre pole. Imagine you are walking down a steep incline, and you trip over. In front of you is a tree with a branch extended, you reach out with this extended hand, and MENTALLY prepare yourself to accept its resistance and arrest your fall, this tree is unmoved and the branch represents a mentally predetermined point in space and time at which resistance is EXPECTED to occur. Now imagine what happens when the branch snaps and no resistance is felt. When someone attacks you they mentally prepare to meet resistance, they predetermine this point of contact in space and time, if our initial movement is avoidance, the mind connection is broken, and a new cognitive sequence is started, this sequence can occur multiple times in the attacker’s mind during a single attack. This keeps us retreating, and creates a sequence of attack and counterattack that can go on forever. Occupying the line with moon shadow foot changes this sequence to a single entity, what Sensei describes as now, here and nowhere. Mentally we are talking about the pre-cognitive function of the mind. Although scientists cannot yet agree on an exact time frame, the mind pre-loads sequences from between 3 to 6 seconds ahead of actual time. A great example of this is imagine it is a dark night and you are walking along an unfamiliar track carrying a torch, where do you shine the torch, at your feet, or off into the distance. If the torch is shone at the feet, progress is very slow, as the brain deals with obstacles in a closed loop of about one second between the eyes and the feet, the movement becomes totally reactive, not proactive. Now walk as you normally would, shining the torch off into the distance. Normal walking cadence is now restored, and although you cannot see the feet and where they are stepping with the eyes, the minds eye knows where the feet are and what they are doing. This is Pre-cog, and moon shadow uses it as a tool against the attacker. This brings us to lizard legs or “T” step, as Sensei now calls it. The root of all physical power is our connection to the ground, the soles of the feet, it is our feet that generate our physical relationship to the force of gravity, and our physical body cannot escape this principle, generating power by either pushing against gravity, or dropping down under the force of gravity. It’s critical to constantly remember that the solidity of the ground is the basis of all upward forces and that the weight of gravity is primary base of all downward forces. All physical movements are just a subtle manipulation of these important relationships. To maintain correct grounding the body needs to be able to move with speed and agility without compromising its structure. To understand this, one must not compromise the centre pole/central axis, which, connected with the sole of the foot, produces relaxed dynamic powerful integrity. As stated earlier, moving in a conventional athletic way, launching the body forward from the back foot spills the tanden ball and upsets the stability of the centre pole. 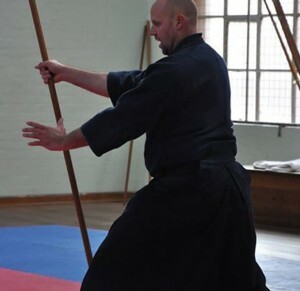 This stability is important in Aikido as the centre pole represents the axis for rotation in circular movements. Maintaining it is integral to developing centripetal and centrifugal forces, and the manipulation of these forces during motion. “T” step allows rapid forward movement by drawing down into the ground to maintain connection and alignment throughout the structure. Done in unison with moon shadow foot, it allows the body to prepare for rapid and dynamic forward or backward movement totally relaxed and free from the desire or will to “do something to the other person” , it allows us to start all technique by understanding that, in truth we aren’t moving some one else, but rather just moving ourselves, unattached through space and time. Recently Sensei has introduced one line training to emphasise this principle and allow us further study of structure, grounding and its relationship to balanced dynamic movement. Remember there is nothing outside the basics. But to know the true self is wisdom. To overcome others shows you are powerful. To overcome the ego-self is powerful beyond measure. To be content with what you have is true wealth. Perseverance shows a strong resolve. Those true to their self live long. Those that find their true self live eternally. What is the purpose of human endeavour? 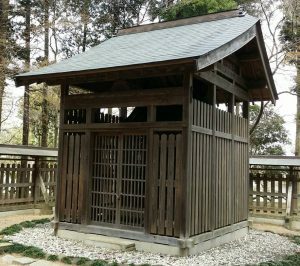 Does the study of budo have a place at all in this modern world? Our life’s journey -our endeavour- can become more meaningful when we master difficult things. We do this when we recognise, face, challenge and finally overcome our fears. To face and overcome any adversity elevates our spirit. Through perseverance and training when I am tired, when I am in pain, when it is cold, when it is hot, or even when it is inconvenient I find the most self discovery occurs. Doing anything that is easy creates contentment that is short lived. Human endeavour should create a path of self discovery. That is why I continue to practice daily. We were brought to the martial arts for various reasons, but for the most part there was an element of wanting to better ourselves in some way. Most students are not told is that the journey in budo is a long one, a life journey. The destination not the achievement of a black belt. Rather understanding that the journey only begins at the level of black belt (the word “Shodan” in Japanese literally means “first step”). Having your black belt may be good for pub talk, but stopping or resting at this point lacks any understanding of the point of the endeavour. To persevere. To elevate. To discover. To fail, succeed then fail again…….to truly live. And this brings me to my second point, the relevance to what we do in this modern age. We are at the moment at an age of entitlement. Our society has lead us through great technological advancements. All the worlds information is at our fingertips, we don’t need to hunt or grow food, walk long distances, or even have to keep appointments (keep our word). We exist more and more in a virtual world, a bubble that (falsely)offers us protection from our fears, our anxieties and our troubles. Training in budo is designed to draw us out of this bubble, out of our comfort zone. It forces us, by its very nature, to face confrontation, disappointment and despair. Having said that, training in dead earnest also gives us the opportunity to elevate above these elements. We discover that we are not bound by the limitations our society, family, social standing or preconceived ideologies place on us. Instead we become free to discover the true self hidden behind the layers of personality (false self) that we have built to protect us from our environments. Seeing these defensive layers as a prison rather than a refuge is the ultimate goal of training in budo. To dispel illusions. Tanren, the tempering of the spirit, starts by just walking out the door, getting on the mat, and leaving your ego in the change room. Simple. At the beginning I provided us with a quote from Lao Tzu. When I first read this quote I thought it was the quintessence of budo study, of life. I cannot articulate greater what can be found through a life dedicated to bettering the self through the study of this wonderful art. Good luck in your journey…..